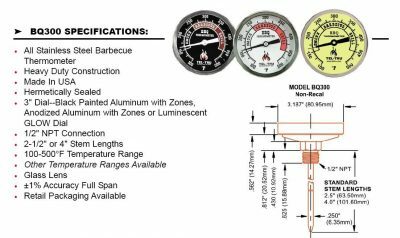 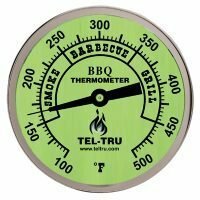 The New Tel-Tru reset smoker thermometers are the kind the professional use. 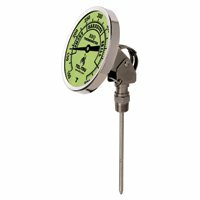 This thermometer is designed for heavy use so it can be calibrated over and over again. 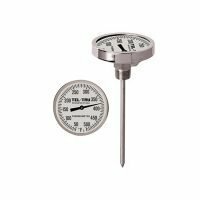 The stem is on this thermometer 2.5 inches long (long 4 and extra long 6 inch stems are also available) and .250″ Diam. 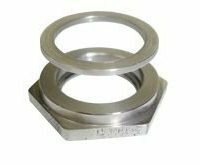 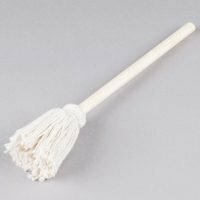 The stem is threaded at 1/2″ NPT and will fit any 7/8 inch hole and will mount using the installation kit Mounting nut and washer are NOT included, sold separately here. Loosen the reset with a 5/64 hex key 1/2 to a full turn. 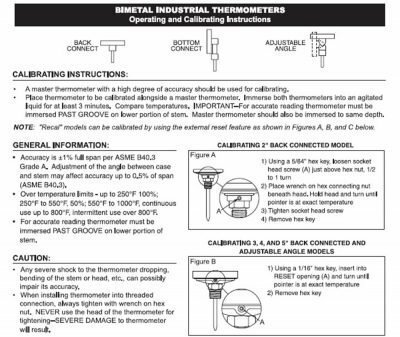 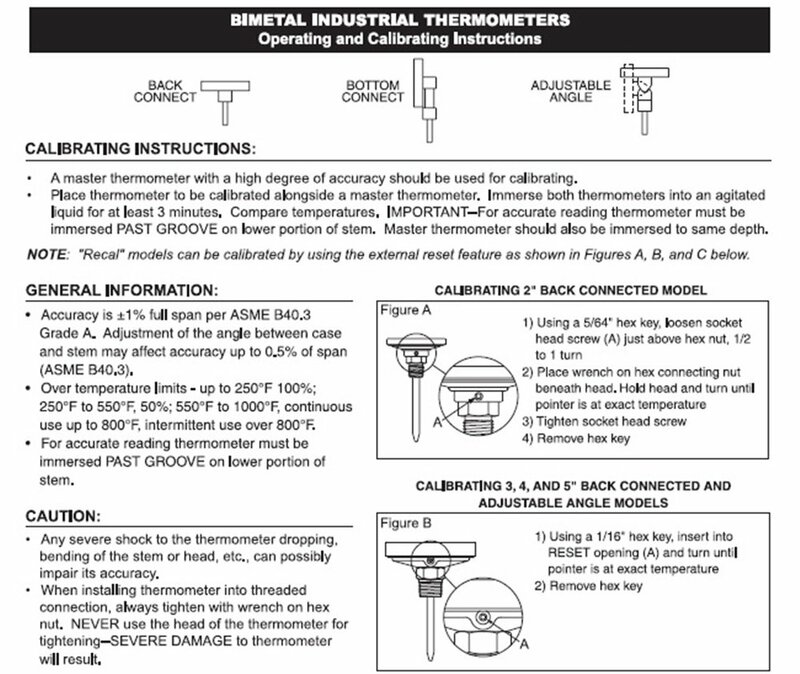 Get the thermometer calibrated and tighten the hex screw. 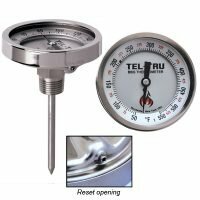 The face has a mark to take the guess-work out of boiling water calibration.